Vaccination is a medical treatment administered to an otherwise healthy individual. Virtually all other invasive medical interventions occur only once someone has fallen ill. Vaccination, like most medical treatments, can involve some risk. And therefore it should be undertaken only after careful consideration of its risks versus its benefits. Vaccines are “unavoidably unsafe” and contain “unavoidable” viruses, phages (viruses that infect bacteria), and contaminants. 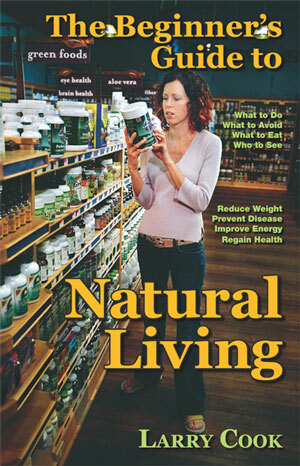 No other drug or medical product is similarly manufactured – if contaminants are found in them, the product is recalled. The FDA even recalls food when contaminants are found. Some of the viruses contaminating vaccines have a known effect, as in the case of the simian virus SV-40 that causes cancer (see Cross-Species Contamination below). Other effects are unknown. In 1975 Gena Bari Kolata wrote an article[i] in the journal Science in which scientists at the FDA admit that all live virus vaccines are “grossly contaminated with phages,” even though it was against FDA regulations at that time. 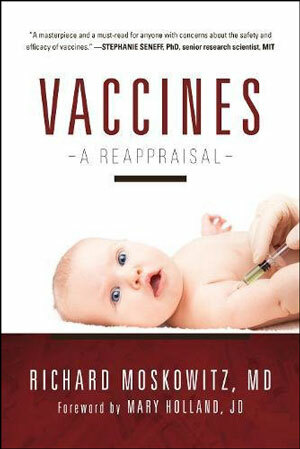 Rather than recall the vaccines, the FDA changed the rules so that a recall wouldn’t cause undue concern for parents. In 1987 the FDA decided this about vaccines: “seed virus used in manufacture shall be demonstrated to be free of extraneous microbial agents except for unavoidable bacteriophage.”[ii] Bovine (cow) serum is a frequently used vaccine growth medium and the most frequently contaminated animal serums with bacteriophage. Vaccines have many other agents as well as the viruses and contaminants that can cause significant injury (see the full list below) to a child or adult. These injuries include brain swelling and permanent brain injury, seizures and convulsions, blood disorders, and even death. 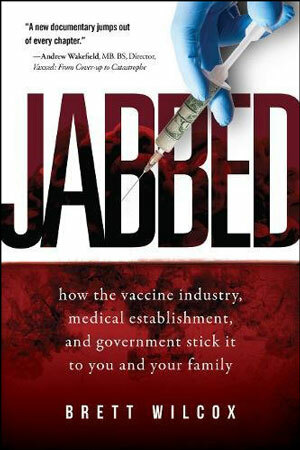 Since 1988 over 3.8 billion dollars in compensation has been paid by the federal government to vaccine victims. And yes, they have paid for autism. Studies have definitively shown that vaccines can result in autism, a disease that has increased from 1 in 10,000 in 1990, to 1 in 150 in 2000, to the current rate of 1 in 68 children. According to the CDC, the most recent numbers breakdown to 1 in 42 boys and 1 in 189 girls diagnosed with autism. While other environmental assaults are also associated with autism, the increased vaccination schedule can be the trigger or a significant contributing factor especially in children who are predisposed because of other conditions. These other conditions are often unknown and not symptomatic until the vaccine injury triggers a cascade of problems. 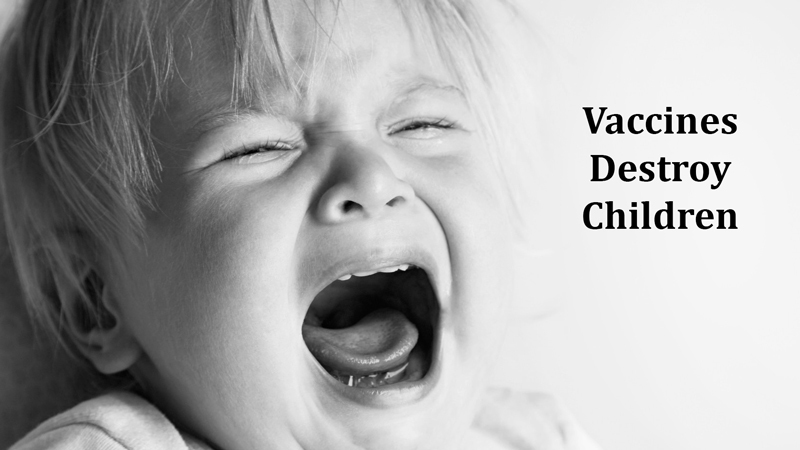 You can find more adverse reactions reported on the Vaccine Adverse Events Reporting System (VAERS) database. People have varied genetic makeup and individual responses so there isn’t a way to tell if a given vaccine will provide the benefit of immunity, cause the illness it’s meant to prevent, or cause mild and/or serious neurologic illness or other “adverse events” (including death) following vaccination in some individuals. Vaccines are known to be problematic for a segment of the population with a specific mitochondrial genetic mutation which may affect up to 4,000 babies a year. 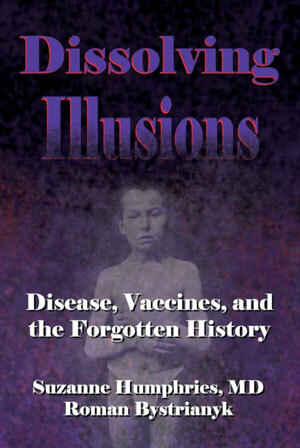 Some of those with a particular form of this dysfunction are unable to detoxify the poisons such as aluminum or mercury that are in the vaccine. This inability to detoxify the metals causes damage to multiple organ systems with sometimes devastating results. In his 2004 testimony to Congress, Dr. Rashid Buttar [iv] (former vice chair of the American Board of Clinical Metal Toxicology and scientist at North Carolina State University) said that children with autism suffer from acute mercury toxicity which results in many imbalances, including systemic candidiastis, immune-suppression, immune dysfunctions, and gastrointestinal dysbiosis. He calls these conditions fires which resulted from one spark: mercury, including (and exacerbated by) the mercury in trace amounts still in childhood vaccines. Safety or toxicity of vaccines is studied for short term rather than long-term. Many studies are limited to just a few weeks. When a vaccine is tested, it is given to healthy people and they are only given that one injection (not multiple injections at once, like a baby). The current CDC recommended schedule with a number of vaccines injected on a given day has never been tested. In essence, the current schedule is an experiment. Chronic health conditions in children began growing rapidly at the same time that new vaccines were introduced 1985-1991, now impacting 1 in 2 adolescents. 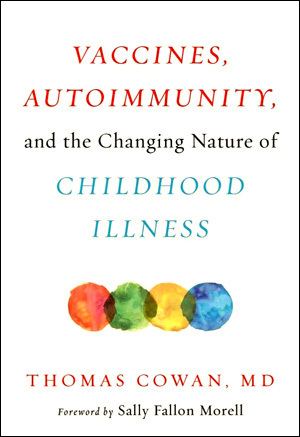 Autism, ADHD, food allergies, bowel diseases, and other conditions began growing exponentially in the late 1980s. The Hib vaccine was introduced in 1985, and replaced by the Hib conjugate vaccine in 1988, to avoid a death rate of 1 per 106,000 persons. The Hepatitis B vaccine was introduced for newborns in 1991 to avoid the risk of transmission from the mother which can occur in 1 in 480 births. HepB is a blood-borne illness not transmitted by casual contact, so an infant is not at risk unless the mother is HepB-positive. 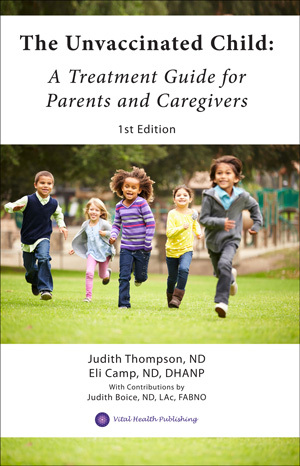 Learn more by reading the report created by Foundation for Pediatric Health. One traditional rule in medicine is that things are unsafe until proven otherwise. Despite this, and the understanding that aluminum is a neurotoxin, scientists still don’t understand exactly what aluminum does in the vaccine. Two things stand out: researchers are not sure what aluminum adjuvants do exactly but they guess that whatever action is relevant does not include cell-mediated immunity. Cell-mediated immunity creates actual immunity; antibody production alone does not. This particular paper goes on to describe many adverse effects of the aluminum adjuvant, including serious neurological dysfunction, but the authors insist that most of the adverse effects are coincidental and not causal. Even when the authors admit to vaccine-induced adverse events, they say that the vaccine is still better for most people than the life-long problems experienced by those injured. 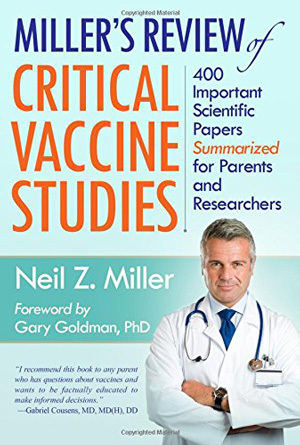 This paper also notes that in developing new adjuvants for vaccines “In-depth studies demonstrating the overall effect of the adjuvants on the immune system will be necessary to avoid surprising and negative consequences … However, should there be the more serious events occurring in less than one in 10,000 vaccines, they will only be revealed when the vaccine is taken into general use.” In other words, the general population is the completion of their experiment for safety. 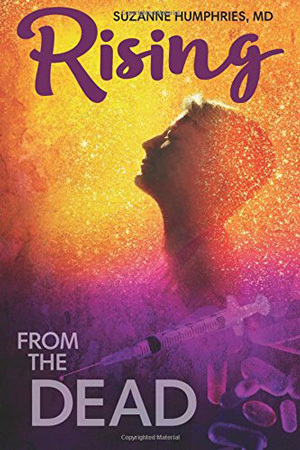 Mercury, another heavy metal and known neurotoxin, is in all inactivated flu vaccines where it is used as a preservative in the form of thimerosal. Though thimerosal is no longer used as a preservative in childhood vaccines, it remains present in them in in trace amounts since it is part of the manufacturing process. However, those trace amounts still exceeds the FDA recommended amounts that can be ingested. Vaccines are injected rather than ingested. So is there a safe amount to inject? We don’t know because that research has never been done. The FDA ordered such studies in 1982; the CDC still has not commissioned such a study. Mercury, even in small trace amounts, is harmful. Exposure to any mercury is problematic because like aluminum, it also accumulates in the brain causing many forms of neurological damage that affects movement, learning, and social behaviors. Mercury is 500 times more toxic than lead and is second only to plutonium as the most toxic metal known to man. Mercury poisoning and the symptoms of autism are strikingly similar. Since it takes years for mercury to be metabolized out of the body, its effects are also cumulative. Mercury is especially harmful to fetuses, infants, and young children since their brains are still developing. One final problem with mercury is that combining it with other metals, such as aluminum, exponentially increases its toxicity. In one recent study done at the University of British Columbia, researchers placed brain neurons in a dish and video recorded the reaction of the neurons when adding aluminum and mercury in the amounts that corresponded to vaccines. When the researchers added aluminum to the brain cells, the neurons withered and shrunk noticeably. When they then added mercury to the aluminum damaged cell, the destruction continued and was more rapid and intense. When they then added testosterone to the mercury/aluminum mixture, the destruction of the neural cell was profound. A clearer understanding of how vaccines are made and what they do raises even more questions about the risk/benefit ratio. Vaccines work by stimulating and exciting an immune response. The efficacy of a vaccine is measured by the production of antibodies. This stimulation of antibody production is achieved (or not) when either a live or killed virus or other vaccine agent is injected into a child or adult. The theory is that this antibody response will then be replicated to protect the vaccinated individual from future exposures. For live virus vaccines, a virus is grown on mediums that include aborted fetal tissue and tissues from monkeys, cows, chickens, dogs, mice, and other animals. Growing the live viruses on animal cells is supposed to make them less virulent to humans yet still strong enough to induce an immune response. This virus is then manufactured with a variety of additives and preservatives to make the serum injected as a vaccine. Non-live virus vaccines include bacterial toxins, “killed” whole virus, and proteins (among other things) and require the use of “adjuvants” to stimulate an immune response. These adjuvant-stimulated responses create the antibodies that are the measures of success of the vaccine. However the antibodies are not necessarily effective measures of true immunity from either live or non-live vaccines. Additionally, the concept of Original Antigenic Sin calls into question whether the immune response from a vaccine (live virus or otherwise) could ever provide adequate protection. The most commonly used vaccine adjuvant is aluminum, a heavy metal that is a known neurotoxin associated with brain dysfunctions, including dementia and Alzheimer’s disease. Aluminum can last up to eight years in the brain resulting in cumulative neurological damage from additional exposures. Despite all the reporting to the contrary, vaccines have been definitively linked to autism. 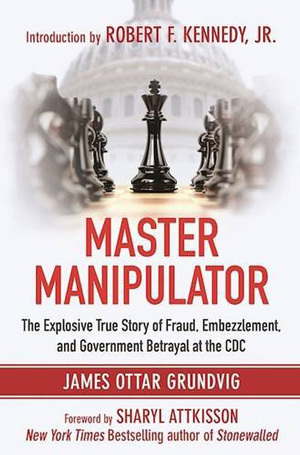 In 1986, a class-action lawsuit against vaccine manufacturers by hundreds of parents whose children experienced regressive autism following vaccination resulted in legislation that absolved vaccine makers from liability and created a program which pays compensation for injury. As the class-action case wound its way through that system, most of those parents’ claims were rejected until Hannah Poling. Her case was championed by her father, Jon Poling, MD, PhD, a neurologist and professor at the Medical College of Georgia. According to the 2011 article “Unanswered Questions from the Vaccine Injury Compensation Program: A Review of Compensated Cases of Vaccine-Induced Brain Injury” in the Pace Environmental Law Review, in order to file a claim of injury in the Vaccine Injury Compensation Program, parents of injured children are pressured to blame any autism spectrum brain injuries on non-autism causes. Typical symptoms of autism such as brain swelling (encephalitis) and seizures have been compensated for as long as parents define them as side effects of the vaccine rather than calling them symptoms of regressive autism caused by the vaccine. [vii] Today 1 in 68 children has Autism according to the CDC. 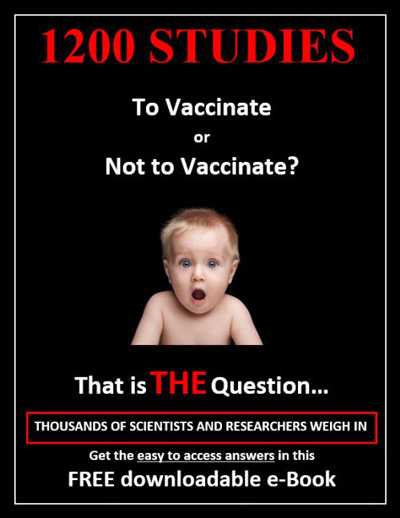 Numerous studies listed at the US National Library of Medicine National Institute of Health, link vaccines to autism. Several online articles suggest a correlation between the uses of aborted human fetal cells with the coincidental rise of autism. One such study is Timing of Increased Autistic Disorder Cumulative Incidence by Michael E. McDonald and John F. Paul, NHEERL/EPA, published in February 2010 in Vol. 44 of the Environmental Science & Technology journal. 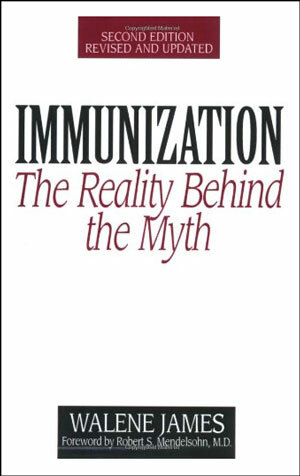 It reports that a spike in autism seen in 1995 corresponds with the introduction of human DNA to the MMR vaccine, suggesting a possible link. One very troubling danger that results from the way vaccines are produced is cross-species viral contamination. For example, the SV 40 virus, a simian virus, was transferred from monkeys to humans by growing the polio virus on monkey kidneys; the SV 40 virus causes human cancers (Journal of the National Cancer Institute, 1997). The virus was injected into hundreds of millions of healthy people worldwide who received early versions of polio vaccines from 1955 -1963. According to an article published and available from The National Center for Biotechnology Information in a 2007 review of numerous studies about SV40 in humans, researches said the following: “SV40 footprints in humans have been found associated at high prevalence with specific tumor types such as brain and bone tumors, mesotheliomas and lymphomas and with kidney diseases…” Once infected, people with SV40 can pass the virus on to their children. 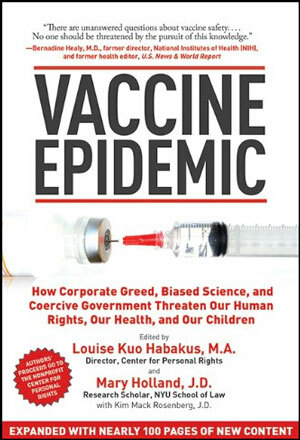 Vaccines are defined as unavoidably unsafe by the CDC, the FDA, HHS, and legal precedent. Yet there is only minimal benefit to individuals and the community for protection from diseases that are unlikely to cause either severe illness or death outside of Third World countries. The risks for each vaccine are stated right on the vaccine package inserts but these inserts are not given to parents or even to adults considering the suggested vaccines for them. 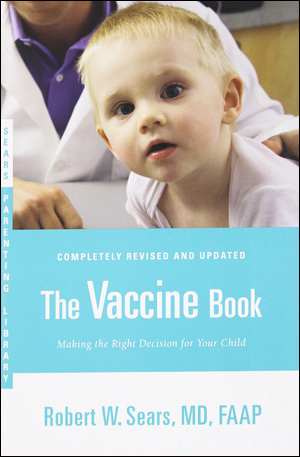 It is also doubtful that the doctor or nurse dispensing the vaccine has fully read the product insert. For example, do doctors know that the Sanofi Pasteur Tripeda PI lists autism as one of the serious post marketing reactions to their MMR vaccine? 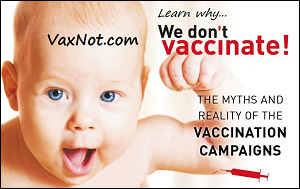 [v] If parents knew that, they might reconsider giving the child the vaccine. When patients ask for product information, they’re given an abridged version, one that would be unlikely to contain the full list of adverse events. That patients do not get the inserts can be especially problematic when pharmacists dispense flu vaccines; pharmacists do not have the same relationship with the patient and will not necessarily be aware of contraindications for a particular person. A full list of contraindications and adverse events listed in the package inserts is available on the Immunization Action Coalition website. While the incidence of any particular adverse reaction listed on the insert may not be unacceptable in the eyes of the manufacturer or the CDC, every parent has both the duty and right to know what they are so that they can decide whether the benefit outweighs the risk for their child or themselves. Scientific literature also shows that the vaccines can cause the diseases they’re meant to prevent, such as in the case of measles, whooping cough, and chicken pox (and others) when the vaccinated child sheds virus to family and community members, even if the child shows no symptoms. More troubling is that outbreaks are now occurring more often in late teen/young adult populations a time when childhood disease are more problematic. This shows that whatever immunity was originally conferred wears off over time. The only solution is even more boosters. Yet if these individuals had gotten the infections in childhood, they’d have life-long immunity. Plus that immunity would be able to be passed from mother to child in breast milk, thus protecting the infant in the first years of life when they are most at risk for complications. This benefit does not exist in vaccine-induced immunity and therefore puts infants at greater risk for acquiring the infections in infancy rather than childhood. Vaccine makers do not guarantee that their product does anything more than increase antibody levels in most people. 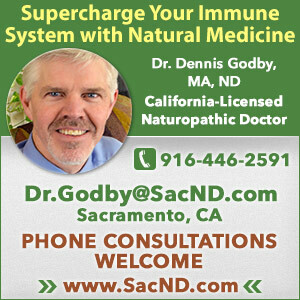 They further admit that such antibodies do not necessarily mean immunity from illness. In simple language this means that the manufacturer does not claim that the flu vaccine protects from the flu; they only claim that it increases antibody activity in some people. However the increased antibody activity has only been associated with protection from the flu for half of the subjects whose antibodies reach the appropriate mark. For the other half, it is useless. Some reports from analysis of the effectiveness of flu vaccines shows that they have up to an 84% failure rate. One reason for such a high failure rate is that the antibody against one influenza virus type or subtype confers little or no protection against another virus. Furthermore, the antibody for one antigenic variant of influenza virus might not protect against another antigenic variant of the same type or subtype. Frequent development of antigenic variants through antigenic drift is the virological basis for seasonal epidemics and the reason for the usual replacement of one or more influenza viruses in each year’s influenza vaccine. This claims that the vaccine induces both the innate and humoral immune system responses yet they don’t know if the contribution is effective protection. So, the benefits for vaccination in a healthy, well-nourished child or adult, it seems then, are not substantial. However, the risks associated with vaccines are substantial. Getting credible independent scientific evidence for vaccines is not always easy. As was the case with the tobacco industry, pharmaceutical companies pay either directly or indirectly for much of the science that is published. The revolving door of officials in government moving into highly paid positions in the pharmaceutical industry or lobbying also is problematic. The government seems to have a vested interest in not publishing information that would show vaccines in a poor light. While Thompson still believes that the risk from disease is greater than the risk from vaccines, it is doubtful that many families whose children have autism would agree with him. He has not lost his job or been prosecuted for his admitted fraud. In another case, a scientific journal rather than a doctor perpetrated the fraud. The case of Andrew Wakefield, MD, made news when he was accused of fraud for a paper he’d authored with multiple colleagues. The paper had appeared in the British journal Lancet in 1998 and it linked a gastrointestinal problem with autism; the authors suspected the gastrointestinal problem was caused by vaccination. Allegations of fraud, improper ethics, and conflict of interests were made by a reporter in 2004 who worked for Rupert Murdock’s Sunday Times. The reporter’s allegations were disputed not only by the authors but also by the editors of Lancet and the institution where the research was conducted, University College London. However the accusations gained traction when members of Parliament became interested and held hearings. Media that included the scientific journal, the British Medical Journal (BMJ), and traditional media launched a vicious attack blitz against Wakefield and his colleagues. The original research paper was eventually withdrawn by Lancet and the authors charged with fraud by the Royal College of Medicine and the courts. Ten of the 13 co-authors caved to the pressure but the three authors who refused to retract their findings were found guilty and stripped of their medical licenses. The headlines went worldwide condemning the men and the connection they’d tangentially made to vaccines and autism. However, the original paper and its authors were eventually exonerated after more than a decade of struggle against their attackers. Those facts did not make any headlines in any media. The doctors were returned to the medical register, though no apology was forthcoming. The reporter who originally leveled the false charges won prestigious news awards, which were not withdrawn even when it was shown in court proceedings that he had reported falsely, hid relevant exculpatory documents, and had many conflicts of interest. The reporters ally, the editor of the BMJ, admitted that the BMJ receives advertising and sponsorship revenue from GSK and Merck (MMR manufacturers). What other information is spread falsely? One piece gaining traction is that women, children and the elderly should have routine flu vaccines. Safety and effectiveness of AGRIFLU has not been established in pregnant women, nursing mothers, and children. Antibody responses were lower in the geriatric population than in younger subjects. Safety and effectiveness of AFLURIA have not been established in pregnant women or nursing mothers. Antibody responses were lower in geriatric subjects than in younger subjects. AFLURIA is not approved for use in children less than 5 years of age because of increased rates of fever and febrile seizures. One comparator controlled trial demonstrated higher rates of fever in recipients of AFLURIA as compared to a trivalent inactivated influenza vaccine control. Safety and effectiveness of FLUARIX have not been established in pregnant women or nursing mothers. Register women who receive FLUARIX while pregnant in the pregnancy registry by calling 1-888-452-9622. In a clinical study of children younger than 3 years of age, antibody titers were lower after FLUARIX than after an active comparator. Geriatric Use: Antibody responses were lower in geriatric subjects who received FLUARIX than in younger subjects. Reproduction studies have been performed in rats at a dose approximately 300 times the human dose (on a mg/kg basis) and have revealed no evidence of impaired fertility or harm to the fetus due to Flublok. There are, however, no adequate and well-controlled studies in pregnant women. Because animal reproduction studies are not always predictive of human response, this vaccine should be used during pregnancy only if clearly needed. Safety and effectiveness of Fluzone has not been established in pregnant women. Antibody responses to Fluzone are lower in persons >65 years of age than in younger adults. Safety and effectiveness of FluMist Quadrivalent have not been established in pregnant women, nursing mothers, geriatric adults, or children less than 2 years of age. In clinical trials, in children 6 through 23months of age, FluMist was associated with an increased risk of hospitalization and wheezing. If the package inserts say the flu vaccine has not been established as safe for pregnant women, is not very effective in the elderly, and causes problems in small children, why is it being pushed now at such an extreme level? In addition to the list of known adverse effects, and that vaccines have been definitely linked to the spread of the cancer causing SV-40 virus (simian virus 40) in humans, what other problems are we creating? Scientists are also correlating the huge rise of chronic autoimmune diseases with the increased rise in numbers of vaccines given. While other environmental factors also contribute to the rise of chronic disease, vaccines cannot be eliminated as a contributing or causal factor. When foreign DNA is injected into humans, the body’s immune response is to attack that foreign DNA. When that foreign animal DNA attaches to the human cells, the immune response includes attacking its own cells. Animal DNA or foreign fetal cell DNA in vaccines can also be taken up by an individual and recombined into their DNA. Also, according to Helen Ratajczak, a former senior scientist at a pharmaceutical firm, there is a link to brain damage and human DNA in vaccines. There is a limit to how much foreign material our bodies can handle before genetic damage occurs. Each person has his or her own unique genetic blueprint which responds to foreign substances differently. It appears that many children are hitting that limit. This generation of children in the United States is sicker than any previous generation with over 50% of children experiencing one or more chronic illness. Many of those illnesses are autoimmune diseases. The US ranks 19th among developed nations in infant mortality. It also has the most highly vaccinated children beginning on the day a child is born. 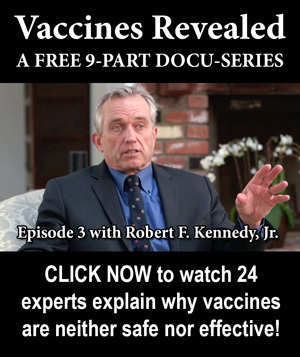 Could these terrible statistics be linked to the cumulative adverse effects of too many doses of vaccines? Learn more. Be your child’s best advocate (and your own). The Vaccine Research Library has a collection of more than 6,500 articles gleaned from peer-reviewed journals. 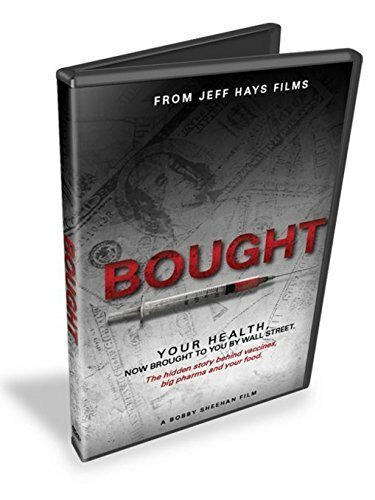 The articles document conflicts of interest in medical research, and chronicle and present undeniable evidence of vaccine injury that includes allergies, autoimmune disease, and a long list of neurological disturbances. 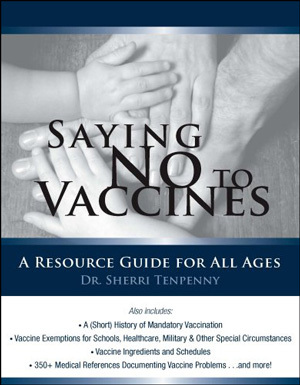 The US National Library of Medicine has more than 300 research studies regarding vaccine dangers: http://www.greenmedinfo.com/guide/health-guide-vaccine-research. As you do your research, be mindful of who benefits from the information you’re reading. Ask: Who paid for the study? Who made the campaign contributions? Who paid for the advertising? Pharmaceutical companies have deep pockets and they spread their money around in ways that suit them best. The big question is, does what suits the pharmaceutical industry benefit our children? Before any mandates become law that we must vaccinate our kids, demand independent investigations into the manufactures of vaccines, their adjuvants, excipients, and growing mediums. We deserve that kind of transparency and not bureaucratic, corporate, and media spin.